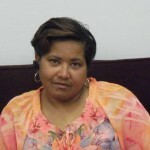 My name is Karla Beaver and I was diagnosed with Breast Cancer at the age of 34. One day I was doing my self-breast examine and found a lump. I called my doctor and they brought me right in and tried to drain it thinking it was a cyst. When they couldn’t drain it they sent me down to get a mammogram to see if they could drain it under an ultrasound and was not successful. My next step was to get a biopsy to determine if it was cancerous. I received a phone call a few days later and received the news that I had breast cancer. I cried every day until I had my surgery and at that point I was at ease and left it in God’s hands and was relaxed. Today I can say I am truly blessed with the support of my family and friends. I am now 12 1/2 years cancer free and my message to females and males please do self-breast examines on a regular because that is how I found my lump. Several years ago, I was confronted with the dreaded word “Cancer”, when my doctor called and said that I needed to get to an urologist immediately because my PSA (Prostate Specific Antigen) had changed. Like most people I was scared. I asked myself the question “why me”. My thoughts began wandering. I wondered; would my suffering be for a long or short period. It is amazing what the mind can conjure up when you do not know the facts or have the knowledge to understand the word “cancer”. My visit to the urologist was enlightening. He pinpointed on charts and models, where the prostate is located. He explained the value of early detection, and encouraged me to do my own research on my specific cancer. I learned from him that the PSA test could be false. The doctor asked a lot of questions, and assured me that he would perform additional test to determine if my PSA test was positive or false. Alas, in my mind a reprieve. I was convinced that the original test was wrong. However, on my next visit to the doctor’s office, the PSA levels confirmed that “I did have Cancer”. I went home devastated, not knowing how to share my life threatening illness with my family and friends I kept my problem to myself. A couple of weeks later a biopsy identified the extent of my cancer.There were some who said to me that “we all will die from something”. Some said that I should not consider a prostatectomy and some thought that I should consider radiation. Ultimately I had to make a decision. Could my cancer spread? Should I have surgery performed? What would be the outcome of post operative surgery? What would happen if I waited a few years? Is my type of cancer hereditary? We all know what happens to cancer patients, they die. How wrong I was, I discovered that I had an opportunity for a longer life. What my doctor shared with me is that there is “life” after cancer treatment and my primary goal should be to sustain a good quality life for my future. I did choose to live! I am a cancer survivor of eight years. I enjoy life, my family and friends. As a result, I have chosen Gloria Gaynor’s song of encouragement; “I will survive”. Are you a survivor? Do you have a story to tell? If so, please contact us at the Eddie Francis Cancer Foundation (EFCF). Finally, my desire is to educate, and assist people who are afflicted with cancer. Therefore, when I discovered that there is an organization working at the grassroots level to assist people with cancer, I volunteered to be a member of the EFCF The Eddie Francis Cancer Foundation’s (EFCF) mission is to increase cancer awareness and provide some measure of support to those whose lives have been altered by being diagnosed with cancer. Treatment plays an essential part in the road to recovery. 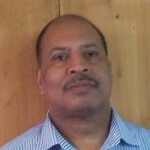 Some of the services provided by the foundation is to help people diagnosed with cancer get to and from their various appointments, working to improve a patients quality of life through support groups, individual counseling and education at a grassroots level is the vision of Edward Francis III, the founder of the EFCF. His father Edward Francis Jr. did not survive his fight with cancer.